He would be a great candidate, we just don’t have one to announce at this time. DCClassics.Com:Are there any updates on the Legion of Super-Heroes 12pk? The full pack with all figures will be shown at SDCC and it will for sure go on sale this fall. MOTUClassics.Com: With Megator’s secret accessory revealed on eBay, is Mattel considering making a bigger/official announcement for Man-E-Faces? We’d love to keep this still a secret to reward fans with the experience of seeing it first in package. Hopefully it will stay that way. MOTUClassics.Com:One of the biggest factors for purchasing multiple subscriptions is multiple heads. In 2010, five of the twelve club figures included multiple heads and fans rejoiced. For 2011, twelve of the sixteen basic club figures have been revealed and only one has included an alternate head so far. Will 2012 be more favorable to second heads? There is no specific rule for when figures will have second heads. We do not want to include this with every figure or it will tend to lose its value as an added bonus. Sometimes figures will have multiple heads, other times they will not. DCClassics.Com: How does the DC Relaunch after the future of the DC Classics line? 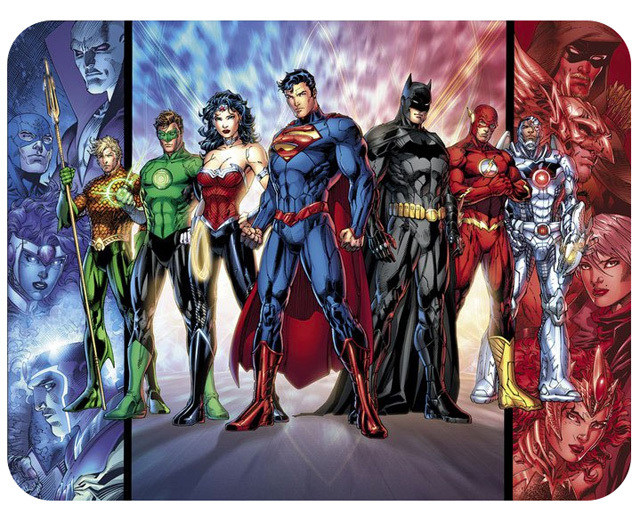 Given the lead time and Mattel’s relationship with DC, how long is it likely to be before we start seeing Relaunch looks appear? It has given us the opportunity to work some of the new looks into the line and refresh key characters. We are actually reworking some of our 2012 line up to take advantage of this! Stay tuned for more at SDCC! Hal Jordamnnotanotherone Mania is runnin’ Wild brotha! I don’t want any relaunch figures. Relaunch figures were inevitable I suppose, but I wasn’t really looking forward to them so soon. Does this mean that we have to get relaunch Barry before a Wally West now? But yes, it is indeed most likely the next Flash is relaunch Barry now. Boo!! The Heads answer is 100% Unadulterated Bovine feces! One of the most exciting things about the SOTA Street Fighter figures were the heads! I did have to laugh at the heads answer. But the figures lose value when they don’t have ’em. I’d rather have the figures be cooler than the gimmick be neater. Guess I’ll take one for team? Ha. I have to agree. This is a new excuse in a long line of bad excuses from TG. He has done a very good job as brand manager, but his PR responses leave a lot to be desired. BA He-Man: A more Angry Head like the Vintage Toy. Buzz-Off: A more insectoid face. Sy-Klone: A More Samurai-looking head. Could I add an eyebrow-plucked Clawful to that list? So many past figures were turned from good to great by the inclusion of second heads (moss man, mer man, the ability to turn trap-jaw back into kronis). Single-head figures like clawful and leech are solid updates for fans of the vintage looks, but really lack that all-era inclusiveness that made last year’s figures so special. Yes, yes you can! I didn’t add him there because this is a matty type list… If it were up to me ALL the figures except Zodac would’ve gotten a second head. Sadly, I think it’s this . . .
And it’s this exact attitude that may have soured me permanently on buying MOTUC with any frequency anymore. I agree with this too, but we need to see them actually do it first. I still feel like that’s the only Clawfl I’m going to get. It might be the only “Clawful” you get, but they could make one of his cousins or invent a new character, but it would essentially just be Clawful with a different head. I have to say to Mattel. Many collectors don’t like surprises; especially when it comes to ‘collector’ items at ‘collector’ prices. If anything, look at most Transformers Club and G I Joe Club opinion’s on the way both clubs’ like to ‘surprising’ them. There have been quite a few ‘meh’ reactions which were backed up with wallet reactions; sure the items eventually sell out, but usually at a heavily discounted price. Backing up that those con sets are always produced in numbers less than 2000 and con exclusive pieces are usually around 500 items; that gives you an idea of how much fans like ‘surprises’. I don’t want surprises with my toys. The only reason these particular two don’t bother me is because Megator is going to stink anyway since his articulation will be crap. And if Man-E-Faces is anything but a second head, I’ll be disappointed. When you put it like that, I’m kind of surprised they haven’t done it already. Is anyone else starting to think these half hearted Q&As are becoming more harmful than helpful to Mattel’s cause? LOL It varies from month-to-month, I was figuring we wouldn’t get too many answers with it being July. The silly thing is we still have the 15th round to go too. To my thinking, a synonym for “surprise” is “ambush.” “Wait and see” either means the surprise item is going to be spectacularly cool and long-awaited, or it’s going to be a cheap kit-bash which preys on hopeless completists like me, or it’s going to be available at only one location on the planet (and never within less than 4,000 miles of where I live, neither) and produced in such low numbers that it’ll sell out online in less than five minutes and I’ll never ever have one. Be more forthcoming with the information, and do away with location-based exclusives, say I. All else is so much meadow-muffin.